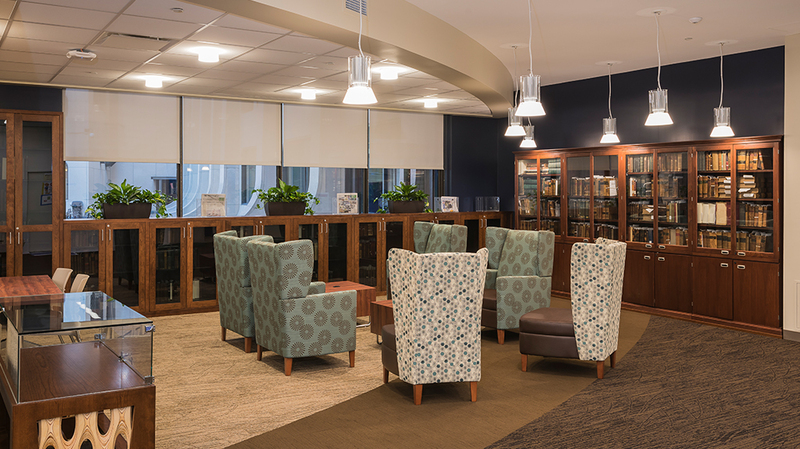 Harrell Health - Pyramid Construction Services, Inc.
Pyramid Construction Services, Inc. served as the General Contractor for renovations to the Harrell Health Sciences Library Research and Learning Commons at PennState College of Medicine. 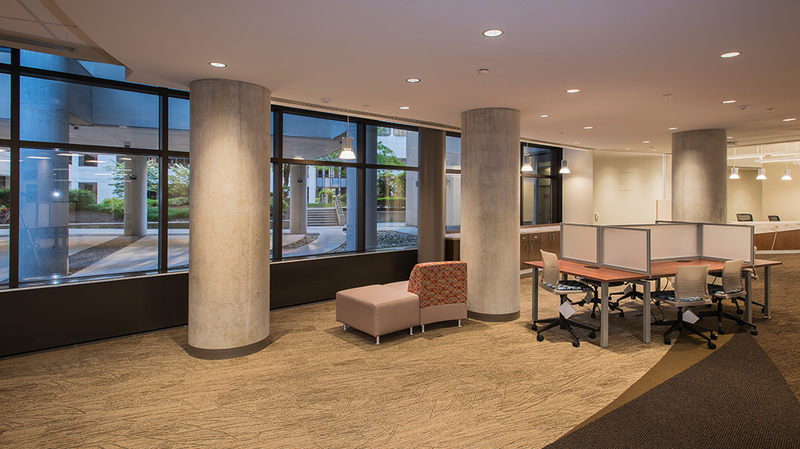 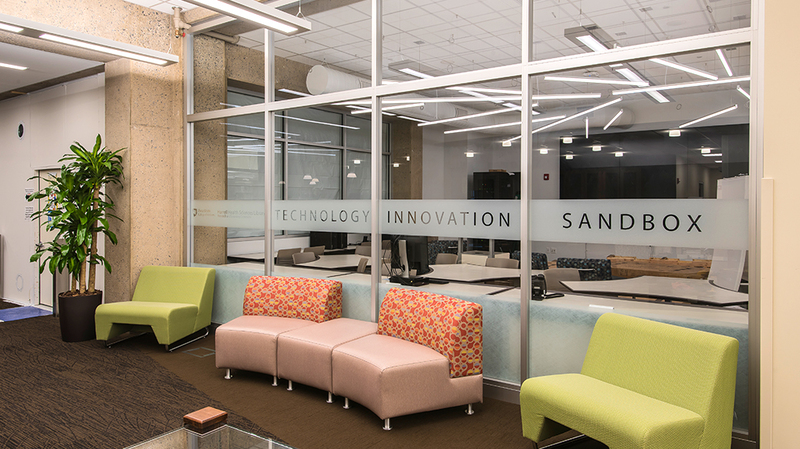 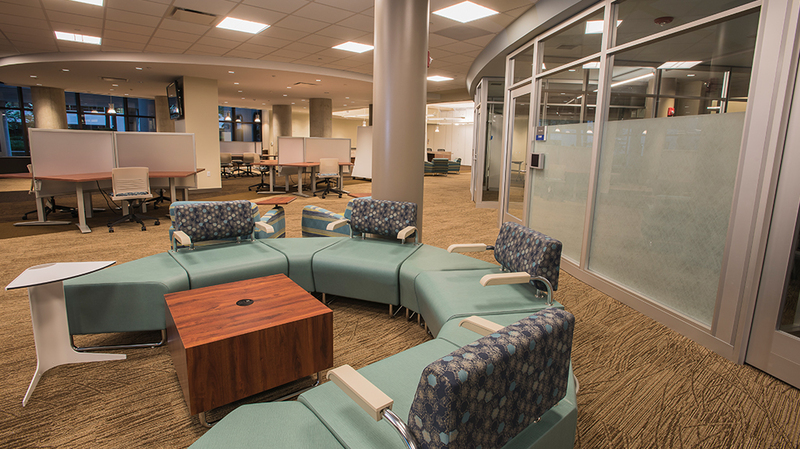 Some of the features of the new library are the spiral staircase, the One-Button-Studio and post-production Macs, the opening of the Technology Sandbox and the addition of clinical work spaces with 3 noise level zones. 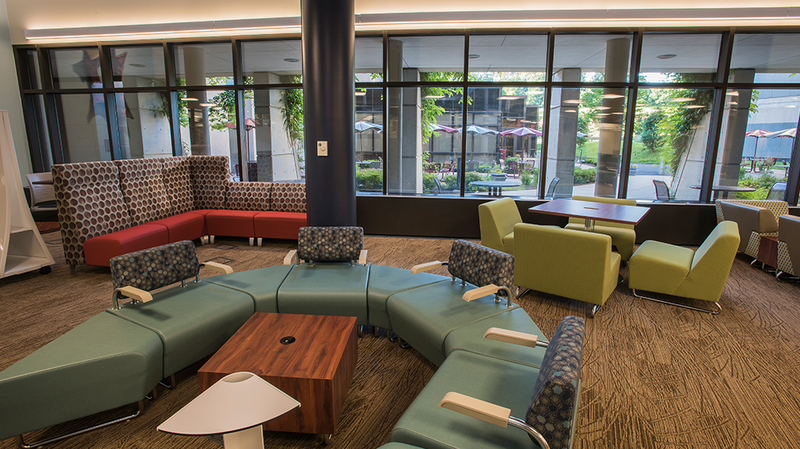 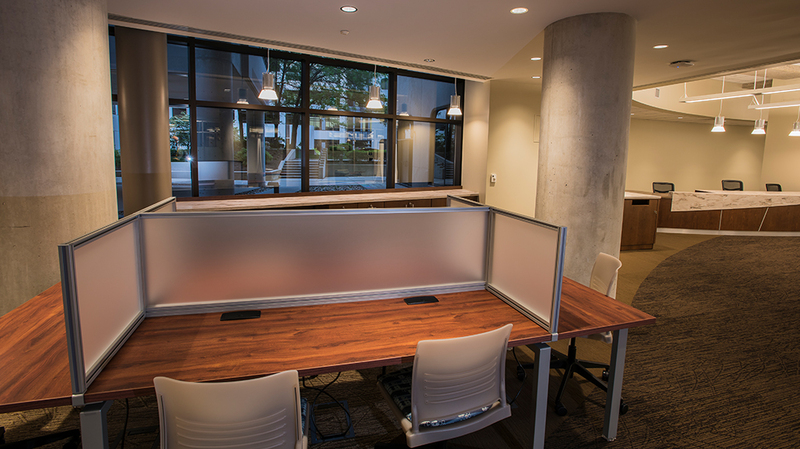 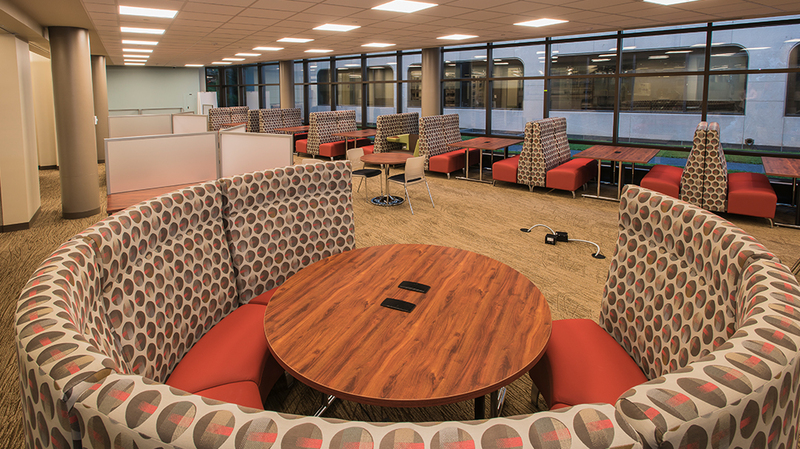 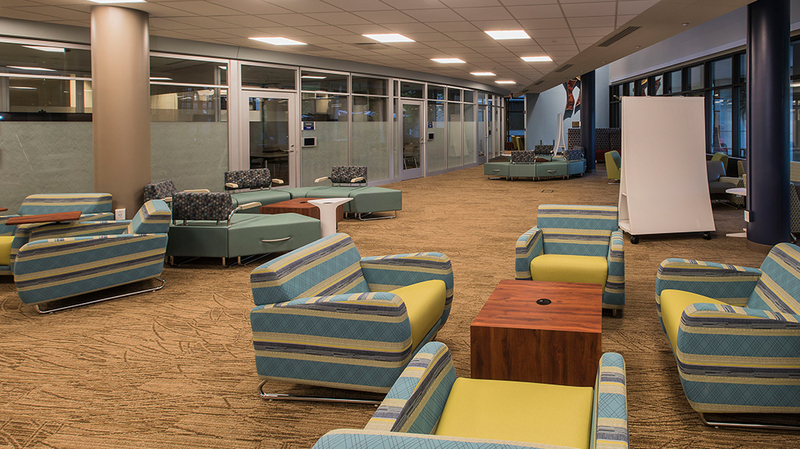 New seating includes tables and booths, built-in power charging and 11 small group study rooms featuring large wall-mounted monitors and wireless screen sharing. 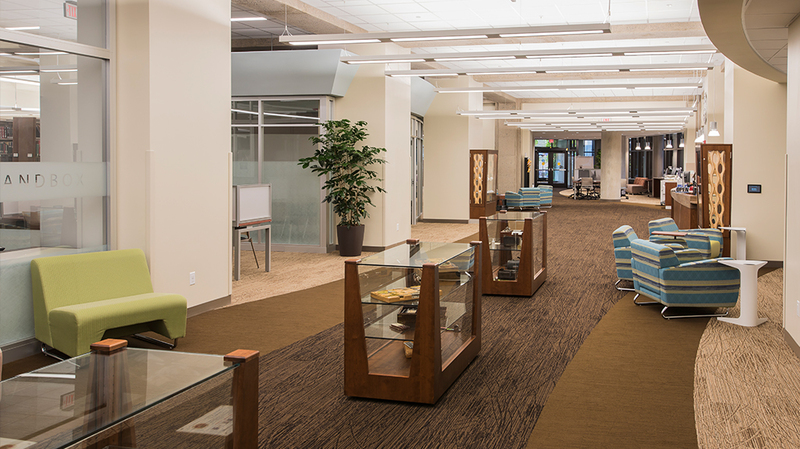 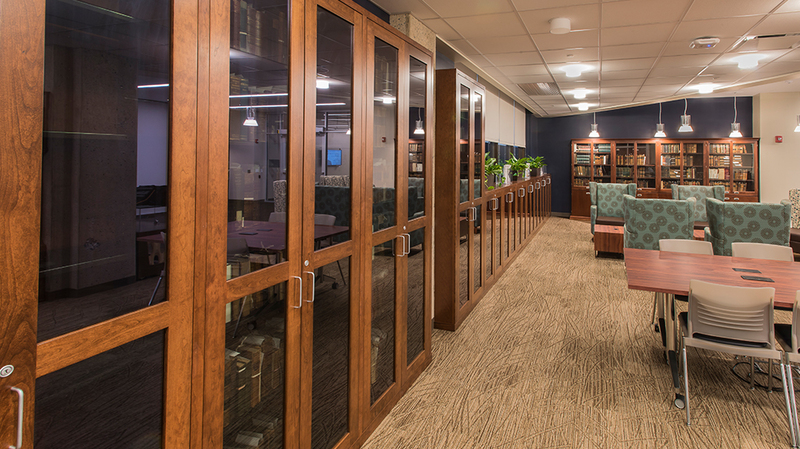 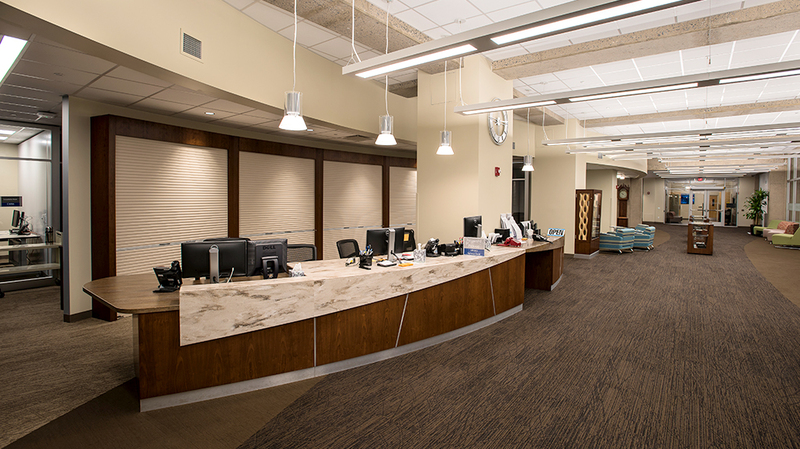 The library creates and sustains a learning environment for students, staff and faculty by providing high quality services, facilities and information resources in all formats.